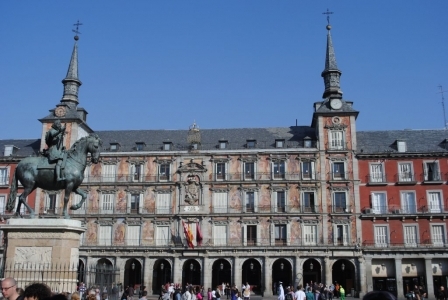 Plaza Mayor is the old historic center of Madrid that goes back to 1617. Over the years, it was a place for markets, bull fights, public executions and celebrations. 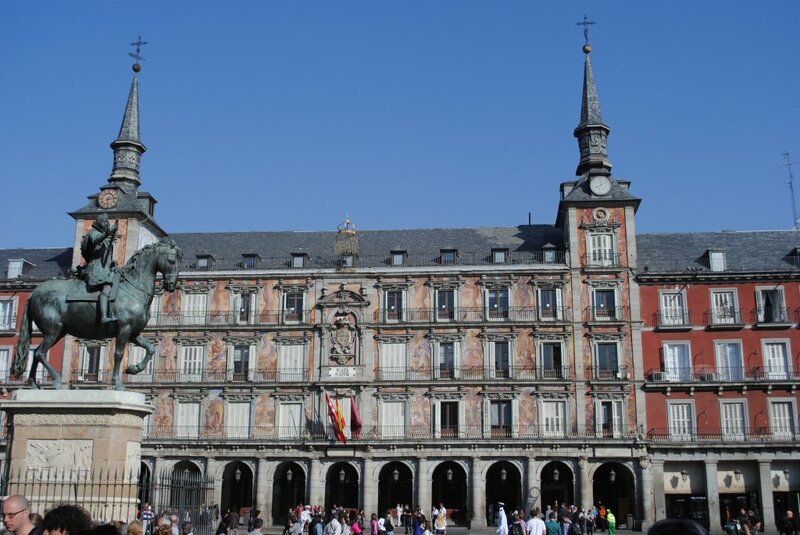 These days, Plaza Mayor is a major touristic attraction with traditional shops and cafes. In the center of Plaza Mayor rises the bronze statue of King Felipe III. Even though it dates to 1616, it was not placed in the square until 1848.
and refused to damage the statue any further. Later on, the specialists identified the bones as being skeletons of small local birds. The mystery of the strange smell was finally solved, but now another one rise: how did all those bird skeletons get in the belly of the statue? While repairing the statue, years later, a small hole was discovered, in the mouth of the horse. The poor birds entered the statue through that hole and because of the darkness and the position of the hole, they never found their way out. Today the hole in the statue of Felipe III no longer exists. 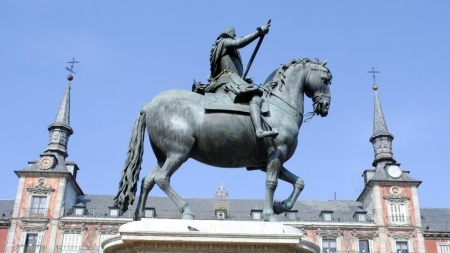 This entry was posted in Europe, Monuments, Spain, Travel Stories and tagged madrid, statues. Bookmark the permalink.